Blackjack, poker, craps and roulette. 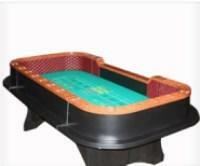 Whatever the games we can help you with your Casino Party. 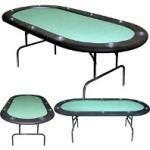 We'll provide the tables, chips, and the dealers (If needed) you will need for your special evening. There's no real gambling going on here. Each player is given an allotment of chips for the evening. At any time they can cash out to get raffle tickets based on their winnings. Throughout the evening or at the end of the party raffle tickets are drawn for prizes. Casino prizes are determined by the customer and the type of event. Prices below are for a two hour game. Extra hours are $100 an hour per table.